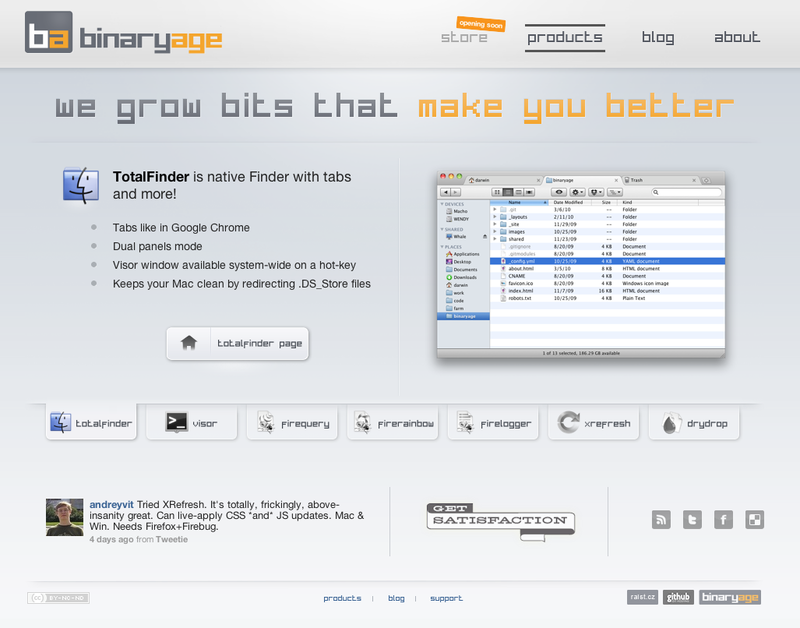 I'm happy to announce that BinaryAge just got a new design! 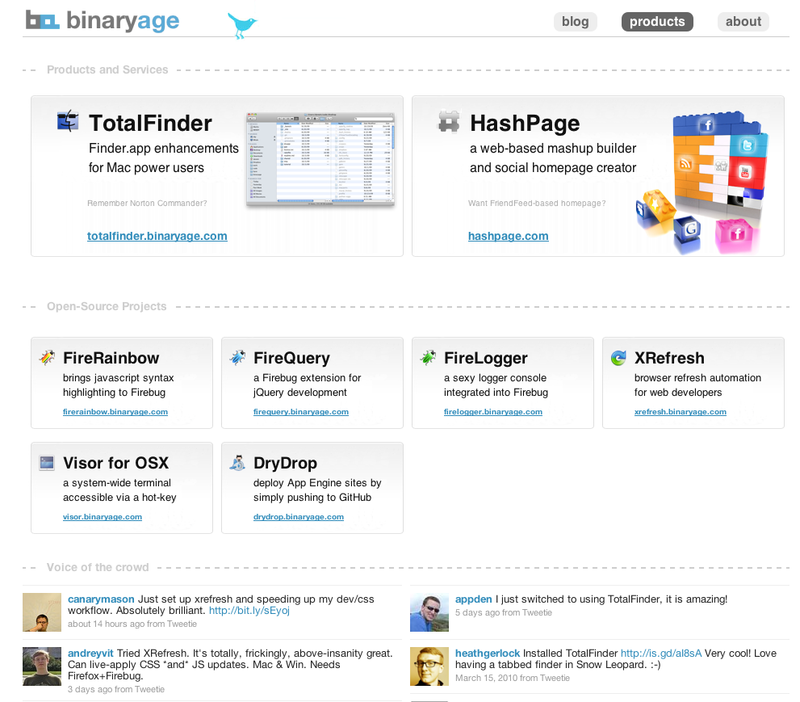 Big kudos to Raist who redesigned the site for me. Who is that magician Raist? Raist has been working with our great friend Surgi on a new business for a while. The shiny product is called Cloudia CMS and it is a flexible multi-site CMS with an awesome admin interface built with ExtJS library. See the screenshots! I have not worked with the system personally, but I can recommend those guys, because I know they are doing a great job. If you are ever looking for a multi-site CMS which is expected to process great amounts of data you should definitely not miss Cloudia! Of course I do eat my own dog food, so I used XRefresh, FireQuery, Visor and TotalFinder heavily while working on the changes. The XRefresh improvement especially is sweet. I hope I will manage to find some time for a new XRefresh release soon. Please report any weird experiences with the new site. Also please note that this site is not optimized for IE. According to Google Analytics, I'm getting less than 2% IE visitors, so it is simply not worth the headache.